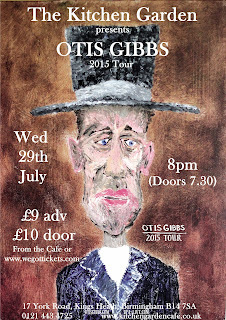 With the number of times seeing Otis Gibbs live now approaching double figures, it is a fair statement to make that you know what you’re going to get. It can also be construed that it is a style met with approval and one which reaches to the core of the artist-audience connection process. On his website Otis makes a vivid point about music solely revolving around the creative output and the experiencing input with everything else being an artificial filter. Observing Otis live many times, intently listening to his soundbites and generally following his career, you get a deep understanding of his stance and sense of personal outlook towards an art form that has taken him from planting 7176 trees to being fortunate to consistently travel overseas to share his music. Those who have also seen Otis live several times, and he certainly presents opportunities to do so on his extensive tours, will take more than a passing interest in the evolution of his storytelling as this Birmingham show revealed the steepest incline to date in what has been a fairly gradual line of development in this aspect of his show. Song wise, Otis still has faith in the two early albums which were his main port of call in the initial days of his European adventures. ‘Caroline’, ‘Ain’t Nothing Special’, ‘Small Town Saturday Night’ and ‘Karluv Most’ all took pride of place in this evening’s show with the latter still inducing deep emotion from its unplugged encore performance. Each time listening to it live sparks memories of accessing it on the IPod under Charles Bridge in Prague, a golden moment in itself to treasure. 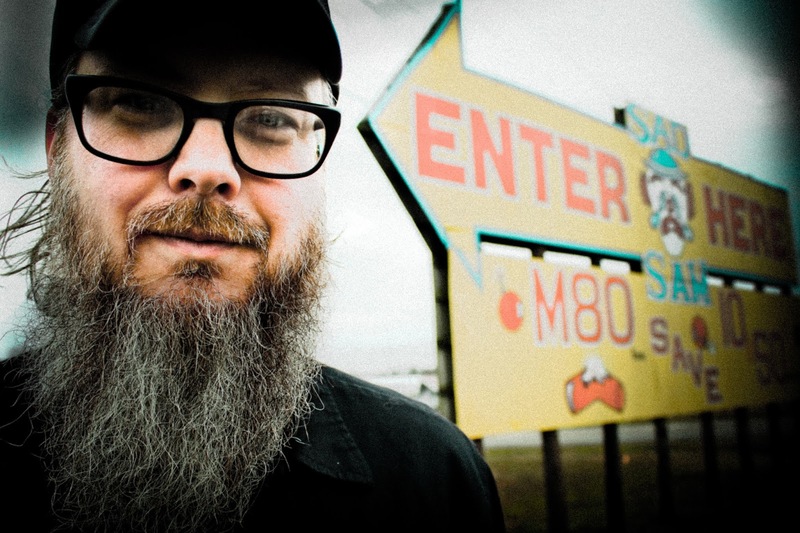 Throughout his five albums that have surfaced during the traveling phase of his career, there have been countless songs to etch onto your brain leaving the stamp of an astute writer. From the latest album SOUVENIRS OF A MISSPENT YOUTH, ‘Ghosts of Our Fathers’ and ‘The Darker Side of Me’ are both rapidly developing into established and favourite live numbers when you consider their inspiration and impact. ‘Something More’ took on a different poignant angle this evening as Otis altered the tribute subject as influenced by recent events, while ‘Kansas City’ will always paint the ultimate picture of the struggling troubadour with the fetching line ‘seven hours in a car, forty five minutes singing in a bar’. Those new to Otis instantly take a liking to ‘Detroit Steel’ probably due to its change of pace, but these quarters miss the now regular omission of his previous Motor City masterpiece ‘Get Me Out of Detroit’. Going back to that original online quip, you get a sense that praise is a difficult concept to experience for Otis and his vision is further cemented by an increasing desire to promote the notion of the ‘here and now’ with regards to the live consumption of his music. He also comes across as one of life’s great students and uses the constant learning experience to enrich both his craft and awareness. This possibly adds to the uniqueness of his live presence and why he leaves a memorable experience in his wake. So while you can debate the ‘artificial filter’concept to infinite inconclusiveness, acknowledging the artist-audience interaction is a lot easier to grasp and re-affirm. Otis Gibbs knows his niche and it is a testimony to his approach that the appeal of unrelenting familiarity never loses its shine. The art world in which he inhabits is a richer place for his company and the biggest compliment to pay is the continual active interest in Otis Gibbs as a recording and performing artist.